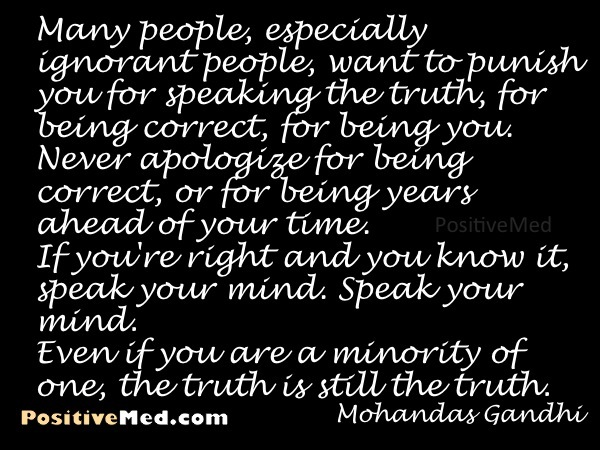 Many people, especially ignorant people, want to punish you for speaking the truth, for being correct, for being you. Never apologize for being correct, or for being years ahead of your time. If you’re right and you know it, speak your mind. Speak your mind. Even if you are a minority of one, the truth is still the truth.